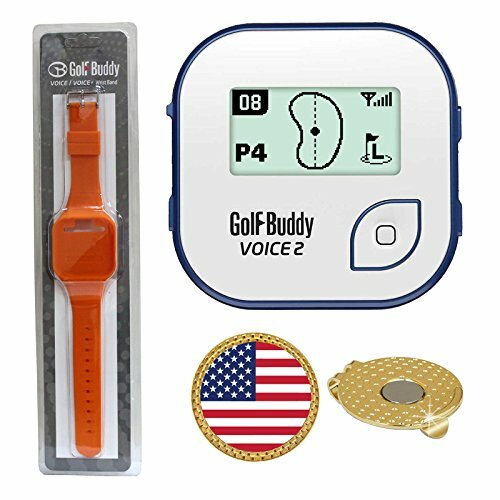 This product is a bundle that includes a Blue Golf Buddy Voice 2, orange Wristband and a magnetic hat clip ball marker. This device is an easy-to-use, talking GPS that also provides rangefinder functions. The second generation to the best selling voice, the Voice 2 comes with a rechargeable lithium polymer battery that provides up to 14-hour battery life, shows the front/center/back of the green, and is water resistant.